Service Today provides high-quality plumbing fixes and solutions in Surry Hills. Our plumbing services come with a work guarantee, which makes us fully dependable. Service Today’s full range of plumbing services includes tapware repairs & replacement, toilet repairs & replacement and clearing blocked drains among others. Service Today can provide quick plumbing services in Surry Hills because we have a dedicated team of experienced and certified local plumbers in Surry Hills. Plumbing issue? Call: 1300 859 383 We are here to help! Service Today’s professional plumbers have been serving residential and business properties in Surry Hills for many years, managing all kinds of plumbing emergencies with ease. 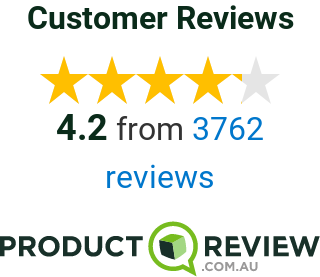 As our plumbers are local to Surry Hills, they understand customer requirements of Surry Hills better. Our plumbing professionals will provide you with an upfront price per job (and not on an hourly basis) without any type of hidden costs before commencing the work. Surry Hills is a blend of residential, commercial and modest industrial areas. Surry Hills remains Sydney’s key centre for fashion wholesale activities, especially on the western side. Service Today is your local plumber in Surry Hills, always ready to take your call 24/7 all through the year. So when you need the services of an expert plumber in Surry Hills, call Service Today on 1300 859 383! Service Today is Surry Hills’s fastest 24/7 emergency plumbers and have positively built and maintained a faithful customer base. With the latest technological equipment and parts, our gentle and benign local Surry Hills plumbers provide superior plumbing repairs and solutions. We know that plumbing issues often occur without any notice or hint – that’s the reason, a range of our plumbing services are offered on call 24×7 throughout the year. No job is too big or too small for Service Today’s experienced, local plumbers in Surry Hills. Get your plumbing problems resolved without delay by just giving Service Today a call on 1300 859 383! Our specialist Surry Hills plumber can ingeniously manage any type of on-site plumbing problems smoothly.